May 16th, 2018 – Biscuit International, one of Europe’s leading players in the private label sweet biscuit market owning Poult in France, Banketgroep in the Netherlands and A&W in Germany, announces today the acquisition of Northumbrian Fine Foods (NFF), UK’s leading gluten and milk-free biscuit manufacturer, from CriSeren Foods Ltd. Created in 1936, NFF has experienced strong growth in recent years and is now the UK’s largest gluten and milk-free sweet biscuit manufacturer, with an annual turnover exceeding £27m in 2017. As well as supplying supermarket own-label biscuits, NFF also owns the Prewett’s brand. This acquisition is in line with Biscuit International’s strategy to continue expanding its products offering and geographical footprint whilst addressing growing consumption trends in Europe such as organic and free-from products. Biscuit International expects to leverage on NFF’s award-winning range of products, innovation and production capabilities as well as its experienced management team to seize growth opportunities on the free-from biscuit market. According to an Euromonitor study, gluten and milk-free products are expected to generate £8.7Bn in sales in Europe by 2021, a 60% increase compared to £5.4Bn in 2016 that is increasingly driven by change in consumers’ lifestyle. The acquisition of NFF will allow Biscuit International to propose a wider offering to its European clients, whilst significantly reinforcing its presence in the United-Kingdom. It will therefore enable NFF to address new markets throughout Europe for gluten and milk-free biscuits whilst at the same time offering Biscuit International the opportunity to benefit from NFF’s close working relationship with UK multiple retailers and brands. Senior management at NFF will remain unchanged, with Biscuit International benefiting from the team’s experience to help drive growth in the European market. NFF Senior management decided to invest in Biscuit International equity alongside the other Biscuit International senior managers. In this transaction, Biscuit International was advised by Deloitte LLP (financial and tax advisor), Simmons & Simmons LLP and Cleary Gottlieb Steen & Hamilton LLP (legal advisors). 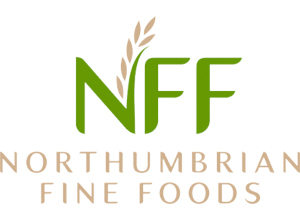 The shareholders of Northumbrian Fine Foods were advised by KPMG Corporate Finance (financial advisor), UNW (tax advisor) and Muckle LLP (legal advisor). Following the merger between Groupe Poult and Banketgroep in 2016 and the recent acquisition of A&W Feinbackwaren in Germany, Biscuit International became one of Europe’s leading private label biscuit players. The Group produces 100,000 tons of biscuits and waffles from 12 factories in Europe. Biscuit International generated sales of € 300 million in 2017, half of which outside France and employs 1,300 people. Biscuit International is owned by Qualium Investissement, a prominent player in the French private equity market with approximately EUR 1.2 billion of assets under management, and a limited number of French and international institutional investors together with the company’s management team. Northumbrian Fine Foods are the UK’s Market leading manufacturer of gluten and milk-free sweet biscuits. In 2017 Northumbrian Fine Foods grew strongly to an annual turnover of over £27 million, all of which is produced from its site on the Team Valley in Gateshead where it employs 225 people. Primarily a supplier to the UK’s major retailers, the business has a major focus towards new product innovation with more than 100 new products having been launched into the UK retail sector over the last 12 months alone. The business has invested heavily over recent years in innovation and as such has attained several product and business accolades including a Q Award, a Grocer Award, a Free From Gold award and a North East Business Award for innovation.